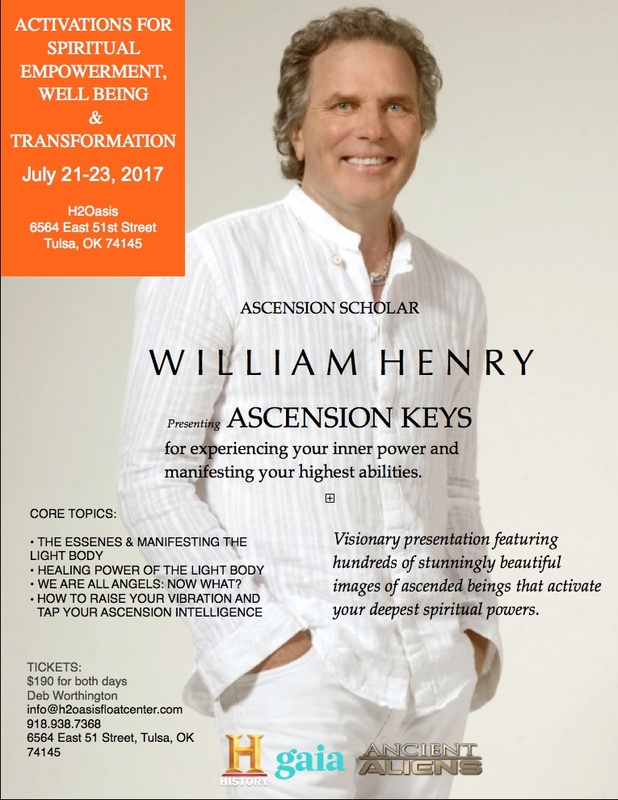 On July 21-23, 2017 I will be presenting “ASCENSION KEYS”, a workshop for activating your inner power and manifesting your highest abilities, at the fabulous H2Oasis Float Center in Tulsa, OK. This experiential workshop will feature my latest work on the art of ascension and spiritual empowerment. Please contact Deb Worthington by email at info@h2oasisfloatcenter.com or by phone at 918.938.7368 to register.